Yediot Aharonot. 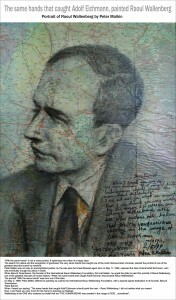 Raoul Wallenberg Day in New Jersey. The destiny and whereabouts of Raoul Wallenberg are unknown. The Swedish diplomat left his comfortable position in Sweden and, under the request of his government, traveled to Hungary in July 1944 to save the last 200,000 Jews, after most of the Jewish population had been sent already to the extermination camps. Wallenberg did not hesitate to get into the trains directed to Auschwitz and rescue the Jews who were on their way to the camp. A strong leader with an efficient network of connections, he was able to do so, and the stories of heroism and courage about him are the testimonies of the thousands he rescued. In 1997, the International Raoul Wallenberg Foundation was founded by Baruch Tenembaum, an Argentinean Jewish businessman, candidate to the Nobel Prize, who decided to dedicate his passion and efforts to keep alive Raoul Wallenberg actions and his legacy. The International Raoul Wallenberg Foundation (IRWF) is based in New York, with other three subsidiaries offices in Israel, Argentina and Germany. One of the IRWF’s initiatives has been to proclaim October 5th Raoul Wallenberg Day to commemorate the second man in history who was awarded the honorary citizenship in the United States. The campaign had positive results and today tens of states officially proclaimed the day. Among them we can mention the State of New Jersey, where Governor Chris Christie proclaimed October 5th in commemoration of the activist. 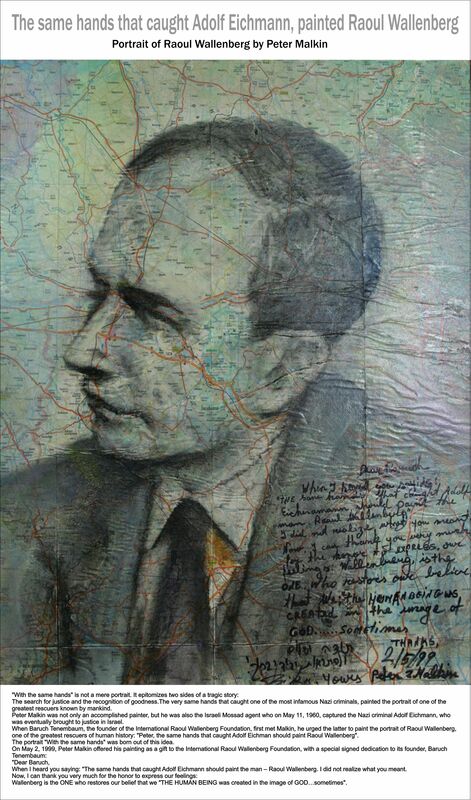 The IWRF outreached the New Jersey community as well, and the Mayor of the Borough of Tenafly, Peter Rustin, was the first to declare October 5th Raoul Wallenberg Day in his district. The proclamation was read during the Council meeting in Tenafly on September 30, and Representatives of the foundation, Manager Zvi Kichel and Special Consultant Dr. Mordecai Paldiel were in attendance. Dr. Paldiel addressed the audience with a few words on behalf of the IRWF and at the end one of the council men, Maxim Bash, said with tears in his eyes: “I owe a debt of gratitude to Raoul Wallenberg”. Bash’s mother, who passed away last year, was a Holocaust survivor. He added that she as in Budapest at the same time that Wallenberg acted there. At the age of 19, she was smuggled to Sweden and was then adopted by a family until the end of the war. After her passing, Bash looked for the second generation of his family survivors and was able to bring them together in New York a few months ago. The IRWF works on a various array of programs related to rescue, such as research on saviors and their recognition, identification of houses, convents and hospitals that sheltered children during the Holocaust period, and the award of diplomas and medals in acknowledgement of people who played a role in rescue operations, risking their lives.